In the entire recorded history of mankind there are less than 25 people, all men, who deserve the title – Butchers of Humanity. Joseph Stalin is one of them. If you don’t know who he was … you should. The son of a simple shoemaker he took part in the revolution that overthrew the Tsar of Russia and later established himself as the most powerful dictator of the modern world. People easily remember the six million Jews murdered by Adolph Hitler but still seem surprised to find out that under Stalin’s insane regime more than 20 million people died as a result of his political policies. Many of these people dying in the frozen concentration camps of Siberia – the Gulags. The irony is that his commitment to the destruction of NAZI Germany may have saved the capitalist West that he hated so much. Stalin trusted nobody and towards the end of his life he was planning another purge (murderous removal) of those “friends” that he thought had become too powerful. However, on the night of the 1st of March 1953 he ordered his exhausted and frightened political associates (Polit Bureau) to engage in one of his all night dinner parties at his residence in Kuntsevo. That he intended to soon have most of them exterminated or imprisoned is matter of historical fact. Some accounts claim that he made them dance wildly to an opera recorded entirely using the howls of Siberian wolves. 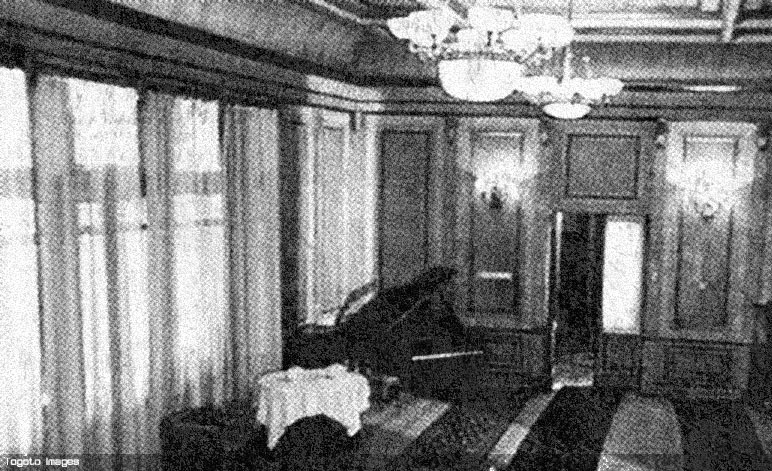 The room where Joseph Stalin is believed to have been poisoned in the Dacha at Kuntsevo, Russia. Accounts claim that he became progressively disoriented and finally retired to his bed with instructions that he was not to be disturbed under any circumstances. These orders were obeyed and it was almost 24 hours before anyone dared to enter his room. They found a dying man collapsed on the floor and soaked in his own urine. Even so, his so-called friends took more than a further 24 hours before they summoned medical help. Stalin died three days later. Based on recorded evidence and Lavrentiy Beira’s claim that he “Took Him Out” modern doctors now believe that the drug Warfarin was given to Stalin during the dinner party and that it was this that this induced his fatal stroke. He was a violent man responsible for so many deaths is it any surprise even his friends may have wanted him dead too.